DRBC e-mails and an article from a philanthropy journal show just who is funding the fracking opposition and what they’re all about – power to the elites. UPDATE FEBRUARY 7, 2014: Google is now the second most valuable company in the world, eclipsing ExxonMobil. Announced just today, this development puts things further into perspective, demonstrating just how ridiculous is the notion that fractivist foundations have difficulty matching the efforts of the “rich” oil and gas industry. Bear this mind as you read the rest of this post! The role of wealthy special interest foundations in funding the opposition to fracking is is starting to become known as the work we’ve done here, at Energy at Depth and by folks such as Kevin Mooney has finally seeped out into the press. Mike Soraghan was one of the first writers to offer the big picture story on how the Park Foundation and friends have their grubby green hands on every aspect of the fracking battle, from creating the controversy to reporting on it, topped off by financing others to give themselves rewards for their work. They know how to throw money around, all the while screaming about the industry running a few positive ads on natural gas, as if promoting one’s own product was somehow inappropriate. Rare it is that we get a window into the soul of elitist special interests involved in the fracking battle. An article that appeared on a website called Chronicles of Philanthropy offers such a view. It normally requires a subscription to read ($77 per year) but, when the Northern Wayne Property Owners Alliance (NWPOA)filed a Freedom of Information request with the Delaware River Basin Commission (DRBC) for records relating to its association with the William Penn Foundation and the Pinchot Institute, back came a copy of the article, which was discussed among all these collaborating groups. The article and the discussion provide wonderful insights on how it all works–how fractivists get financed and what’s behind all that screaming and the silliness. The article appeared on Chronicles of Philanthropy in October. It was accompanied by a piece written the same day by the same author on the subject of a spoiled trust-funder named Farhad Ebrahimi, who helped finance this. The main piece authored that day by Michael Anft was titled Foundations Split on Their Response to Fracking. It was passed along by Ken Klipstein, the Director of Watershed Protection Programs for the New Jersey Water Supply Authority, to a fellow named V. Alaric Sample, Phd, President of the Pinchot Institute, and Nels C. Johnson, from The Nature Conservancy, who shared it with Carol Collier, the Executive Director of the DRBC. 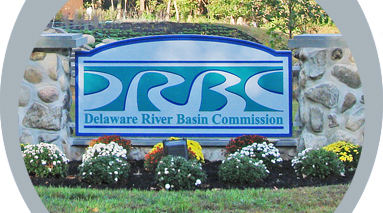 All are involved with the Pinchot Institute, which readers will recall has been engaged in a low-level sort of fractivism under the cover of a program called Common Waters, financed by the William Penn Foundation, which also funds the high-level fractivism of the Delaware Riverkeeper and the regulatory activities of the DRBC. What a tangled web! Last fall when Michael Bloomberg’s private foundation made a $6-million grant to promote stronger regulation of natural-gas drilling, he won applause from several environmental groups. 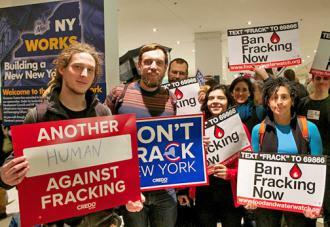 But the New York mayor also lit a few flames among activists and grant makers who believe that fracking, the intensive energy-extraction method also called hydraulic fracturing, will never be safe, no matter how it is regulated. A second camp, which includes the family fund created by Google Chairman Eric Schmidt and the Chorus Fund, a new grant maker pouring $40-million into fracking issues, is concerned about environmental and health effects of the practice. That faction supports nonprofits that rally the public against the technique. Some anti-fracking activists applaud efforts to strengthen regulations. But others say that isn’t enough and that the Environmental Defense Fund’s approach will do more harm than good. They argue that methane leaks from fracking will poison freshwater aquifers, cause air pollution, and speed climate change. They want the practice banned. But other grant makers are working to make fracking disappear. The 11th Hour Project, which makes about $3-million in grants annually to grass-roots groups nationwide to fight fracking, has focused its efforts in states such as California, Maryland, and New York, where moratoriums have been issued or court battles against energy companies are being waged. Support for local groups has also come from the Heinz Endowments, the New York Community Trust, and the Park Foundation, a grant maker in Ithaca, N.Y., that has spent $5-million on anti-fracking work since 2008. Activists have worked to get more information on fracking to the public, through either the news media or documentaries like “Gasland” and its new sequel, which was supported by the 11th Hour Project and Park. Foundation leaders, including those at the Heinz Endowments and Park, say they have faced well-financed and nationwide campaigns from the oil and gas industries that portray them as anti-energy and as environmental fanatics. Some say they have been attacked on blogs run by people and groups supported by the oil and gas industry. “They want to find a large institution to vilify and to create a conspiracy around this,” says Jon Jensen, the leader at Park. Blog posts have questioned whether the grant maker’s founder, the late media mogul Roy Park, would have backed groups opposed to fracking. “I’ve been worried that this kind of thing might have a chilling effect on foundations,” says Mr. Jensen. Foundations haven’t often been able to muster much resistance to industry claims about fracking’s ecological impact, some say, because foundations lack the resources to fight against a rich industry. Grant makers also lack a unified force to counteract what the industry publishes. In part because the effects of fracking are not fully known, Heinz has found itself working on several sides of the issue. It has handed out $12-million in the past four years to groups in western Pennsylvania that have opposed fracking as well as to efforts involving citizen surveillance of fracking operations, academic research into effects on the environment and health, and a clinic to treat people who may be suffering headaches, nosebleeds, and rashes connected to gas drilling. The Heinz Endowments supports both tighter regulation and anti-fracking advocacy. The notions that fracking is only a decade old and the industry is “lightly regulated” are laughable to anyone knowledgeable with what is involved. Even more laughable is the howling from the head of a $315 million foundation about being up against a “rich industry” as she and her allies throw around tens of millions of dollars that dwarf industry spending in combatting their misinformation. Those allies include Google’s Eric Schmidt (pictured below with wife Wendy at NRDC event), with an estimated wealth of $8.3 billion making him the 138th-richest person in the world and 49th-richest person in the USA, not to mention the Heinz and Rockefeller families. These foundations’ idea of fairness is apparently for them to spend those tens of millions attacking the industry using the vilest falsehoods, with the industry unable to respond in any way. Crying about the influence of the oil and gas industry and my little blog or Energy In Depth’s is more than a little disingenuous when you have Google, the third most valuable company in the world, on your side.